When something new is born, something old dies. The variations in colour represent the variations between new life and death. 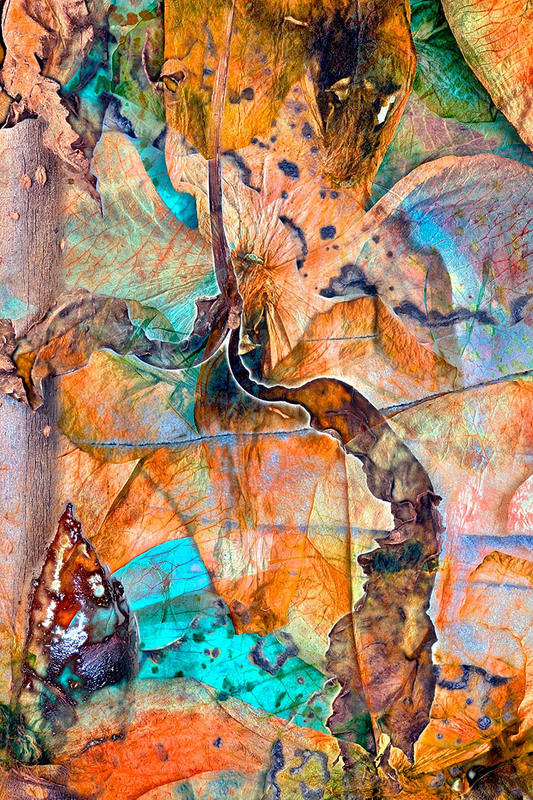 The photograph was created by overlaying multiple images of dried flowers.